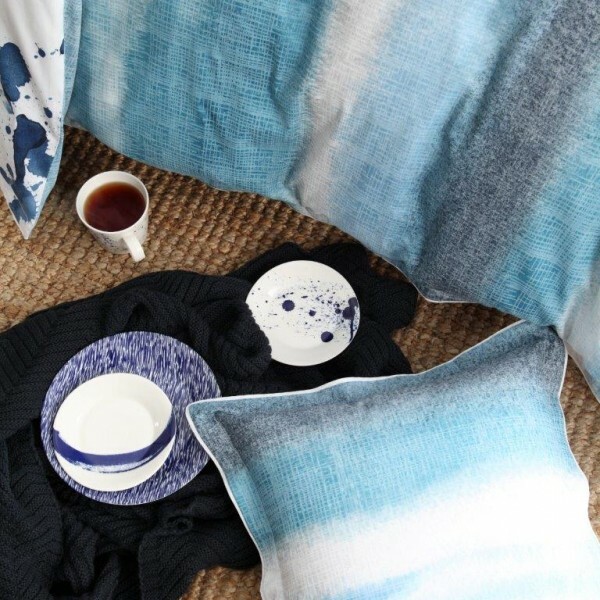 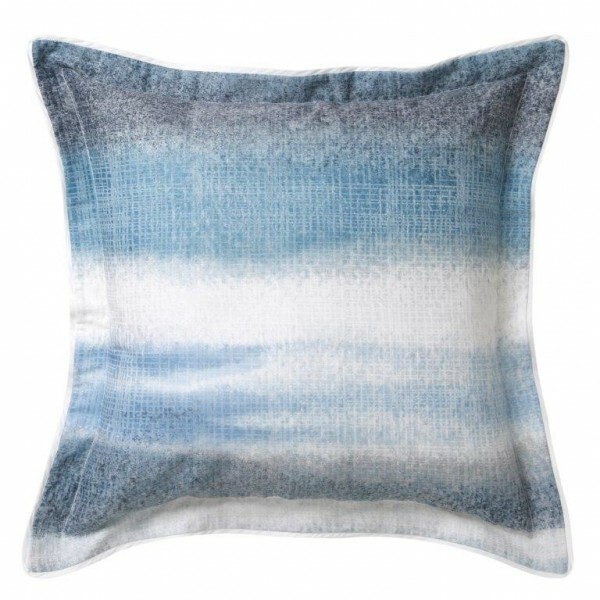 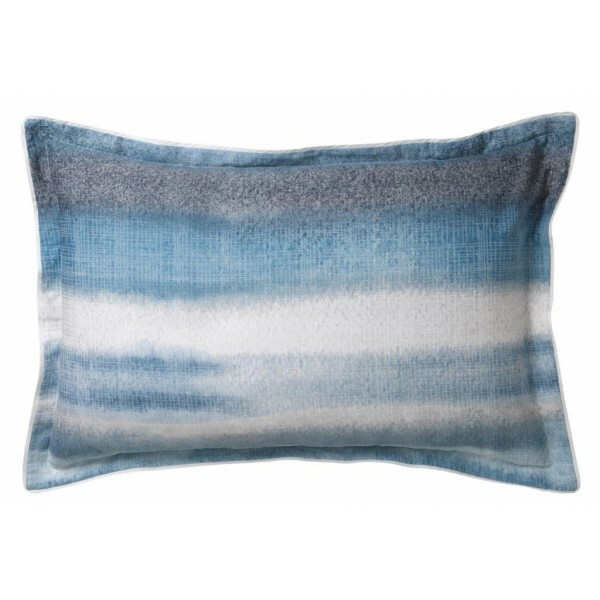 Palma Blue takes inspiration from the sea and surrounding landscapes. 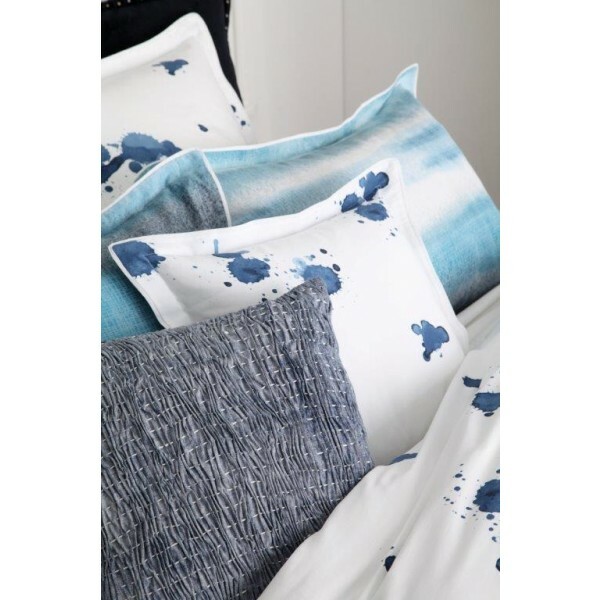 The tonal blue and white palette transitions between light and dark with ombre effect, overprinted with subtle cross-hatching. 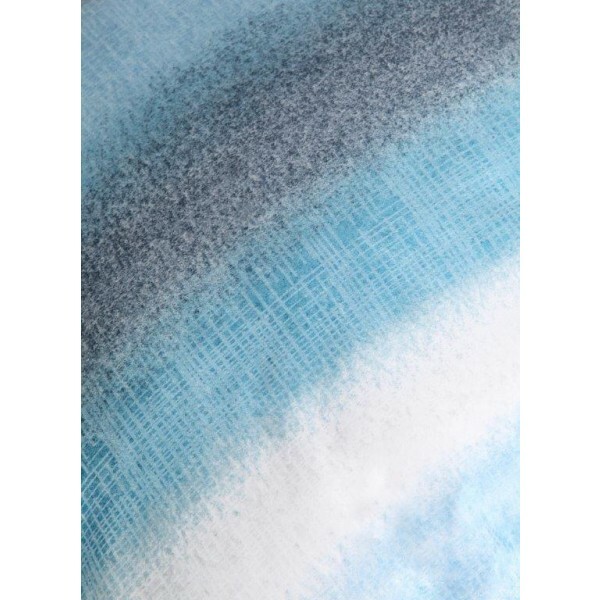 The painterly reverse is a direct nod to Royal Doulton's Pacific Splash pattern. 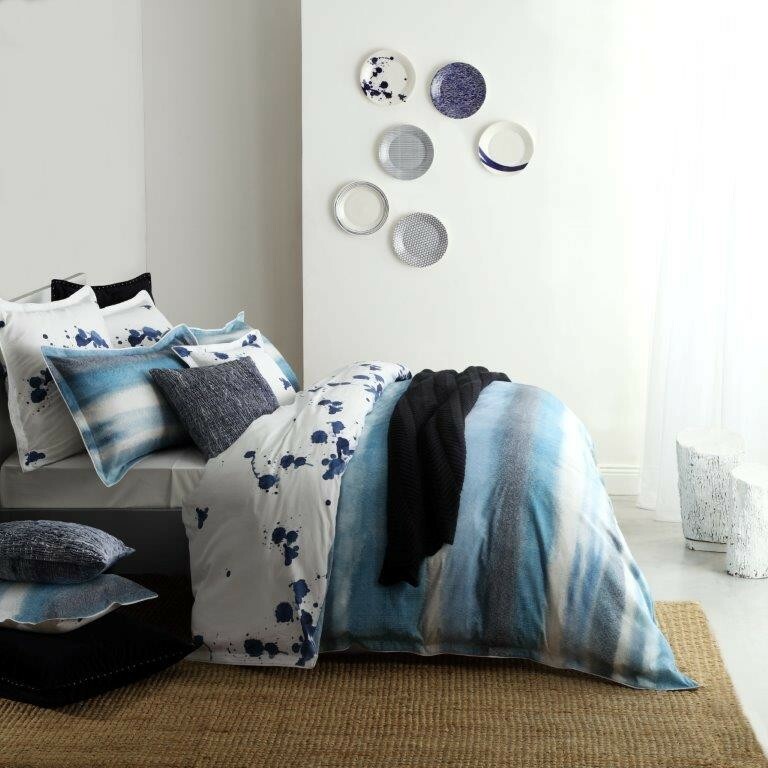 Fabric composition: Quilt Cover and Pillowcase: Front - 100% cotton sateen palma print. 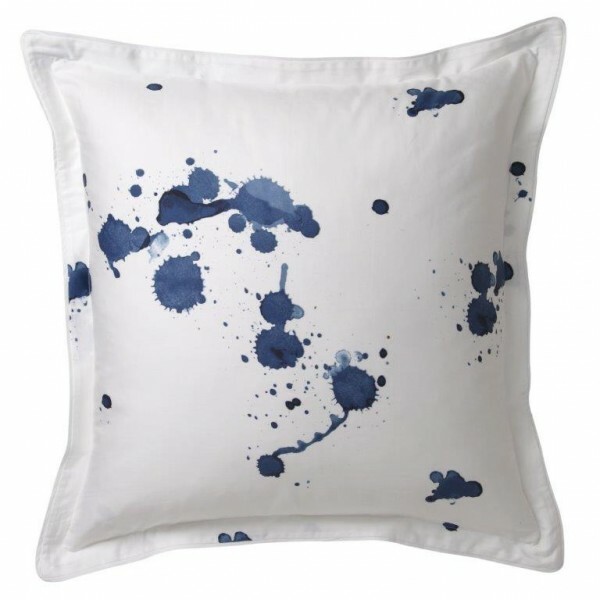 Reverse - 100% cotton sateen blot print. 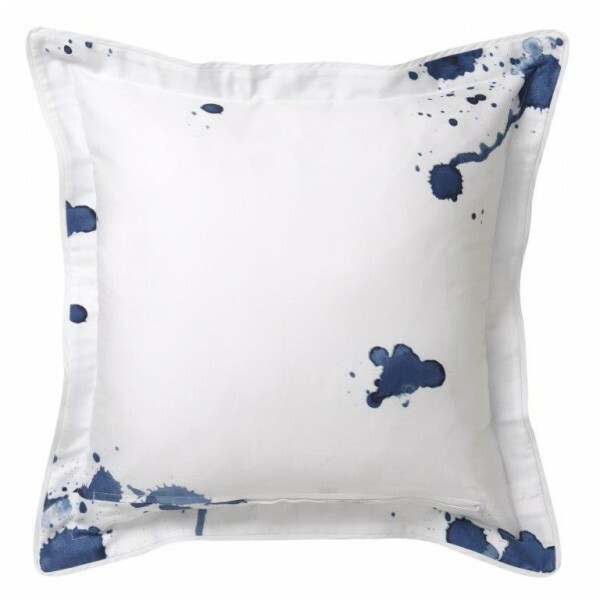 Trim - self flange with flat piping in white.